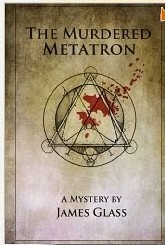 Metatron is an archangel in Judiasm. Metatron appears primarily in medieval Jewish mystical texts, and in Rabbinic tradition he is the highest of the angels and serves as the celestial scribe. 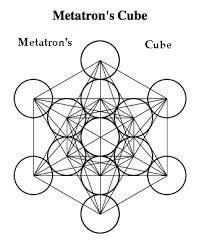 Also, Metatron is known as the angel of life. He guards the Tree of Life and writes down the good deeds people do on Earth, as well as what happens in heaven, in the Book of Life (which is also known as the akashic record). Complicated dude. Well, in this long story, (or short novella,) by James Glass — which is one of a number of pen names for Suzi M, which is probably a pseudonym for somebody else, — Metatron gets killed. What happens is that a bunch of college boys way back in Aleister Crowley’s day (which was the end of the 1800s through the first half of the 1900s) were having fun with the occult and the dark sciences, and decided to try a ritual to summon a demon. Well, by gum if they weren’t successful – up to a point. They got the archangel Metatron instead, and boy was he pissed! He tried to kill them, and was instead killed with the ritual knife. Well, from that time on, Hell has been sending out agents trying to find the killer, one Virgil Calahan. Now we have Marduk and Pazuzu, demons, on the case, and they hire our P.I. to track this guy down. The P.I. is John Smith, actually a terribly unsuccessful P.I. and a man with amnesia. He really doesn’t know his name. They gave him that name at the hospital where he had been in a long term coma. So when these two strange strangers contact him for a job, he is all for it, clients being very very few and really far between. And why is this Metatron so important that they have been searching for him for lo this last century? He is The Voice of God. Since his death, there has been celestial silence. OK, I don’t really understand this either, especially since Metatron is supposed to be a scribe. But it was a fun tale anyway. And there is a sequel, too, but this is a stand-alone book so I am a happy little reader. I think it is a good series. Have to go check what else this James Glass person has written. 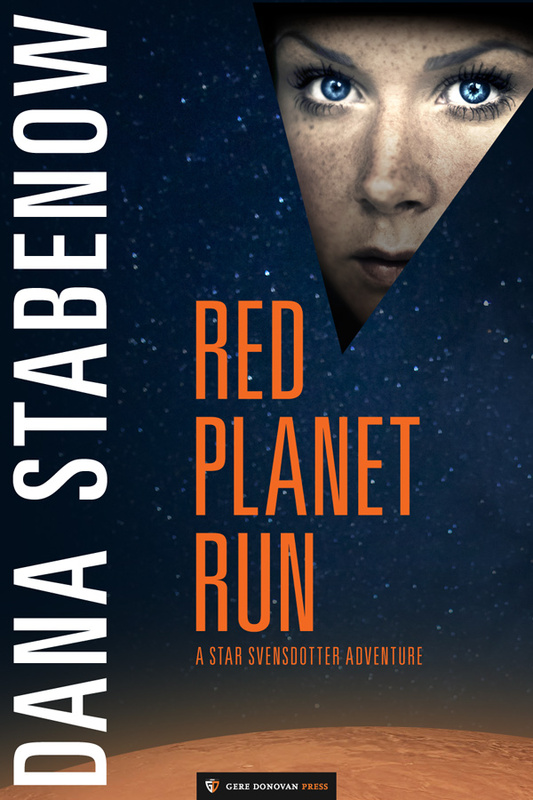 Red Planet Run is the third of the Star Svensdotter sci fi series, and I believe it is the last. The way it ended didn’t leave a lot open for future volumes. The first book is Second Star and the second is Handful of Stars. In this final volume, our intrepid lady leader of the Outpost, the man-made settlement near Ceres which is home base for mining the asteroids in the asteroid belt, goes on a road trip — to Mars. On one of the small asteroids in the asteroid belt, some man-made artifacts, quite ancient, are found. It is theorized that possibly the entire asteroid belt was once a planet that got blown apart. Who knows? Could be. 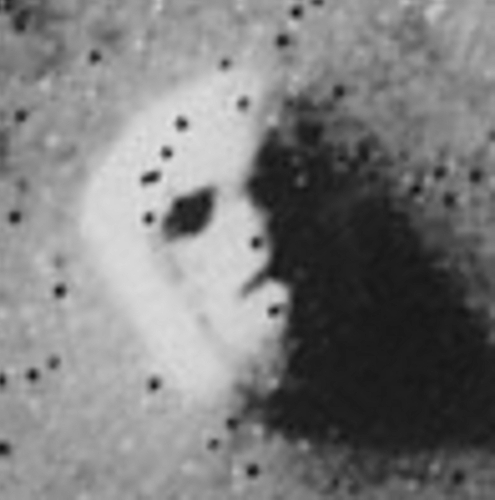 Then, word comes from a small Russian settlement on Mars of what might be artifacts there, also. A small archeological team is sent to Mars to check it out, and the head of the Federation would like Star to go with a small team to get her take on the findings. She takes her twins, now 16 years old, as her crew, and using a double lined helium balloon, they float around the red planet, first finding the remains of an old spaceship with its inhabitants obviously massacred, which is an ominous beginning. Then they see an odd vehicle bumbling toward them, which is the vehicle of a Mars version of Johnny Appleseed. He has invented a device to produce tiny amount of … oh, I forget …. some totally necessary gas. He goes around the planet inserting these gadgets as his little contributions to terreforming the planet. Which should make the planet livable in about 200,000,000 years. They sail around and come to the Russian settlement which is growing nicely, but which is under attack by the man who had killed Star’s husband sixteen years ago. He has a nasty crew with him, and Star and her kids manage to sneak up on them and wing a couple, and scare them away from the settlement. They hang around the settlement for a while, then on to the archeological site, where the team has discovered something that might be an observatory. A tall, narrow tower with a dome on top. So, more cool stuff, like a pyramid, and you know that face you’ve seen pics of? Yeah, in this book, that face was created. To get our attention? Who knows. How cool is that. We meet up again with the berserkers, have a faceoff, and guess who wins. Well, of course. Wouldn’t be much of a story if our heroine bought the farm, now, would it? That’s Mars. Not much to see, is there. Those are alien vehicle tracks. 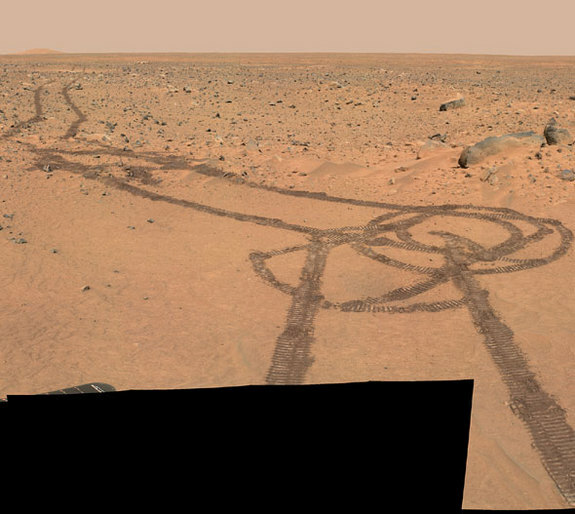 hahaha No, they’re tracks from the Spirit Mars rover in 2004. Don’t you wish they really were alien vehicle tracks? You all know by now that I am always downloading books ‘to be read later’. 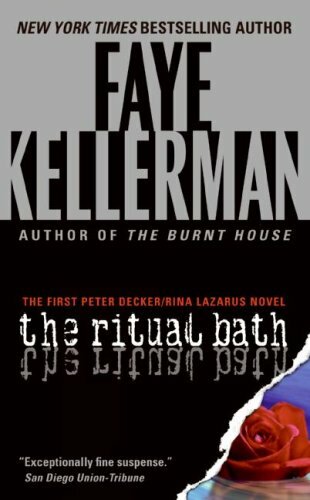 When later comes, I often have forgotten what they are about, but I never bother to look them up again because I figure I liked the blurb enough to want to read it, so . . . I just start in reading it. I forgot what The Boy in the Suitcase was supposed to be about, but I had this vague notion that it was some kind of gentle children’s fantasy tale along the order of Neil Gaiman. It wasn’t. Not by a long shot. Scandanavian writers Kaaberbol and Friis have cooked up a jim dandy thriller. Ohhh, yes, indeedy. Holding the glass door open with her hip, she dragged the suitcase into the stairwell leading down to the underground parking lot. There was no elevator. Step by step she manhandled the heavy suitcase down to the level where she was parked, then realized that she didn’t want it in her car until she knew what was in it. She found a relatively private spot behind some dumpsters, sheltered from security cameras and the curious gazes of passersby. Her hands were shaking, but she managed to unbuckle the strap and unsnap the locks. The tale involves a desperate man, a bad man, a frantic mother, a despairing mother, a tragic woman, perplexed and tired husband … and the three-year-old boy. A complex web ensnares them all, and it is the kind of read where you have to stop from time to time to catch your breath. 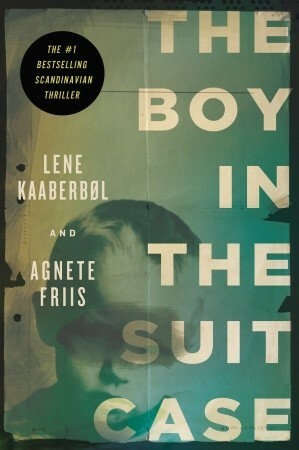 This book was translated from the Danish by Lene Kaaberbøl, and a fine translation it is, too. Excuse me, but I need to take a look at my luggage. You know, just in case. This mystery takes place in a remote yeshiva in California,. A yeshiva is a high school and college of Jewish studies for boys. This particular yeshiva is located on a large private property and contains a number of small cottages for the students and faculty. The women in this yeshiva are the wives of the rabbis or wives of a special group of scholars studying in the kollel. One of the structures on the property is the mikvah: the ritual bath for the women. Several biblical regulations specify that full immersion in water is required to regain ritual purity after ritually impure incidents have occurred. A person was required to be ritually pure in order to enter the Temple, and a woman is required to immerse in a mikvah after her menstrual period or childbirth before she and her husband can resume marital relations. This otherwise standard-issue mystery is fascinating because throughout, we readers learn a lot about the practices and beliefs of devout orthodox Jews. Our lady protagonist, Rina Lazarus, is the widow of one of the scholars. The yeshiva has given her a job teaching mathematics in the high school, and free housing in a tiny cottage as a way of supporting her and her kids, for which she is very grateful. In addition to the teaching, her duties include operating the mikvah for the women. One night, as she was about to leave at her normal time, she decided to stay to finish grading some papers. The last woman left, and she was alone working when she heard a scream. Rushing out, she discovered the woman beaten and raped, but fortunately not killed. The police were called in, and heading up the investigation was Peter Decker, a decent guy, and his female partner, Marge Dunn. And thus begins the story of Detective Decker and Mrs. Lazarus, as well as the solving of the crime. Really good mystery for you mystery fans, and really good subplot for you personal relationship fans. Good book all around. Troy Chance, a young female free lance writer, cyclist, and general all around active person, single, and living in Lake Placid where she rents out some of her rooms to other singles, is on the ferry on Lake Champlain on her way to Vermont. I saw something fall from the rear deck of the opposite ferry. It could have been a bundle of trash; it could have been a child-sized doll. Either was more likely than what I thought I saw: a small wide-eyed human face, in one tiny frozen moment as it plummeted toward the water. Convinced it was a child that fell into the water, and without giving it much thought, jumped the rail of her ferry and swam to the point where she saw the bundle hit the water. She finds the bundle, and it IS a child, one whose adult size sweatshirt was tied around him. He was meant to drown. What an opening, right! How can you stop reading after that? Well, Gentle Readers, you can’t. She manages to swim to shore somehow, towing the half-drowned boy, and then get to her car, to discover that no one is looking for this child, there is no hue and cry, the ferry has not turned back for him. It becomes obvious that someone wanted this five-year old child dead. And she begins the search to discover who he is and what happened. What a ride we then are on as we accompany Mz. Chance as she digs around for the child’s parents, and then for the kidnappers, because kidnapped he was. Great mystery, great characters, and great ending. I pretty much didn’t see it coming. But then, I am dense. It is why I never get tired of mysteries. I can almost never solve them before the denouement. I remember all those rides on the Staten Island ferry when it was only a nickel. And the Cape May ferry, too. And for a brief time during my childhood, there was a ferry that ran back and forth between Camden, NJ and Philadelphia, and I used to beg my dad for us to take the ferry. What is it about a ferry that is so enticing? Not the bodies falling off of it, that’s for sure. 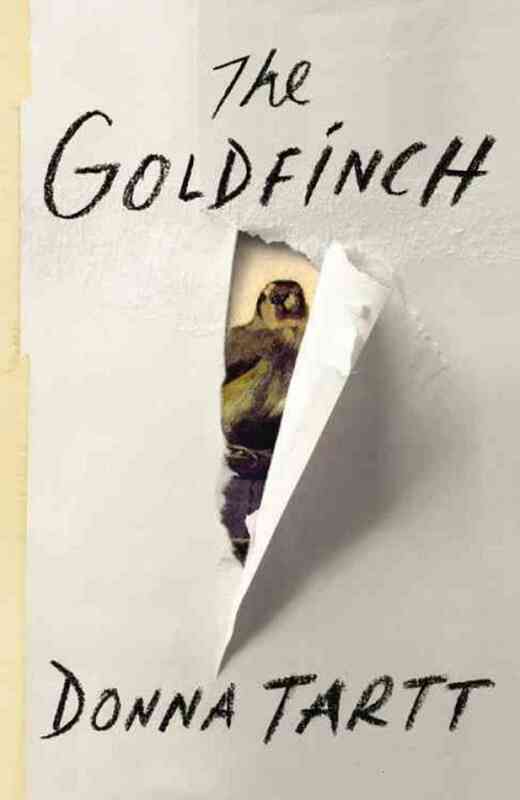 Thirty-three weeks on the New York Times best seller list, and a Pulitzer Prize winner, to boot, The Goldfinch was released in the fall of 2013, and I, as usual, am late to the party, having just gotten around to reading it. I really like this writer. She is the author of The Secret History, which was quite different from The Goldfinch. That one was dark and rather unsettling, while this one is… OK, less dark, and less unsettling. We meet the protagonist when he is 13, suspended from his NYC school to which he goes on scholarship, for some not very heinous offense. He and his mother are on their way to an appointment with the headmaster, but stop off at a museum to pass the time because they are quite early. As they walk through the galleries, they stop at Carel Fabritius’ The Goldfinch, painted in 1654. Fabritius was a Dutch painter, one of Rembrandt’s pupils. He died young, caught in the explosion of the Delft gunpowder magazine on October 12, 1654, which destroyed a quarter of the city, along with his studio and many of his paintings. Only about a dozen paintings have survived. The Goldfinch is a stunning vibrant work, not very large, and his mother explains the history to him. He is only half listening because he is interested in a redheaded girl about his own age touring the museum with a crippled elderly man who looks to be her grandfather. But eventually, he and his mother move on to another gallery. His mom suggests he pop down to the gift store to pick up some postcards, but he lingers when he comes to the gallery where The Goldfinch is hanging so he can watch the girl and her grandfather. Suddenly, there is a terrific explosion, debris, fires and falling walls and ceilings everywhere. He is knocked out, but when he comes to, he is near the old man, who is very hurt, and apparently dying. He talks to the man, comforts him, and stays with him. They seem to be the only ones left alive in that room. The man gives him a curious ring, and tells him to take it to a certain address in the Village. He then dies. Still stunned, with his ears ringing and an awful headache, our boy sees the Goldfinch painting, out of its frame, just lying in the rubble. He picks it up in a daze, comes upon a shopping bag and puts it in the bag. Then he makes his way out of the building, stumbling around, lost, never seeing anyone alive. He finds a side door and leaves. He looks through the crowd and emergency personnel surrounding the area for his mother, can’t find her so goes back home, their agreed-upon go-to if they lose each other at an event, etc. He waits, and waits, and in the middle of the night, two social workers come to tell him his mother died in the explosion. His father, a smarmy, abusive alcoholic with big dreams and no competence, left them 8 months ago, much to their relief, his whereabouts now unknown. The social workers offer to take the boy to any relative or friend to keep him out of the system until they can locate his father. The only phone number he can think of is a sort-of friend from his school, a nerd from a very wealthy family. The family agrees to take him in. And thus begins the story of the pillar-to-post life of this young boy and of the now very-much sought-after painting of the Goldfinch in his possession. It is a fabulous story in the great tradition of fabulous stories, filled with wonderfully drawn characters, and outrageous situations. We follow his life as his father, finally found, takes him to a half-abandoned subdivision in Las Vegas to live with him and his girlfriend. He mostly ignores his son, who at school meets the wild and crazy Boris, ignored son of a traveling Russian mining engineer, and the two spend a couple of years mostly drinking and drugging and never going to school. The father dies in a car accident, and our boy takes himself back to NYC where he is taken in by the partner of the old man in the museum. He grows up to be a dealer in fine antique furniture, most of which is not genuine but beautifully crafted restorations. As in The Art Forger , where we learned about copying and forging paintings, in this book we learn a lot about furniture restoration, the antique furniture trade and scams, and the world of big money. And the painting? Well you should ask, because ……. 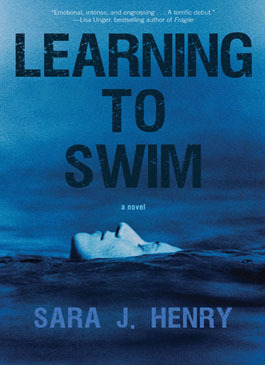 Although a prize winner, this book received a fair amount of negative criticism because it is all about an emotional story, and the critiques are mainly about the writing style. I don’t know. I liked it a lot. It is a long book — 800 pages — but it is one that you certainly cannot put down. I didn’t have any problems with the writing style. I mean, how flowery do you want when talking about a boy untreated for his PTSD, his grief for his mother, and then his father, who has no family and finally no roots, but he does have a world class painting that it is now much too late to turn back in to the museum without grave consequences. It is character-driven, but there is plenty of action. Plenty. My only tiny criticism is the three or four pages at the end where he is musing on morality, destiny, obsession, and life in general. Could have done without that. For me, the book ended right before all that ruminating. But gotta say, this chick is one great storyteller! I have no idea why I downloaded this, but it was a delightful read so I am glad I did. It is really a children’s story, the story of 9-year-old Emma who is caught up in a terrible storm and washed away, from where and from whom we never learn. She washes up on shore in an area known as The Dunes, isolated and stretching for miles, and prone to terrible and violent equinox storms. She is clever and resourceful, and after making a shelter from the ruins of an old rowboat, wakes up to see a materializing young boy in a Bell Captain’s uniform. It turns out he is a ghost, but quite friendly. One hundred years ago, a very clever inventor built a hotel right here on these dunes. He had invented a machine that would create a disparity in time for his hotel, which meant that you could experience a month-long vacation stay in only a weekend. Everything was in readiness for the first guests when an awful storm blew in and buried the hotel under piles and dunes of sand. The staff and the inventor managed to escape to the wharf, which broke off from its moorings, and they were carried away, to be saved on some distant shore. But poor conscientious Winston, the Bell Captain, all of 17 (I think) stayed behind and was killed. Hence his ghost. 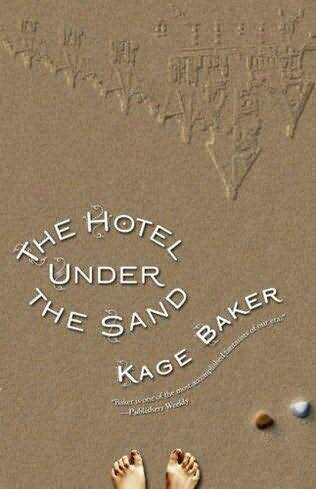 Another storm moves in, and Emma and Winston build a kind of fence to keep the sand from burying them, and when the storm is over, the fence had apparently diverted the winds such that the buried hotel was now totally visable, good as new. The two get the machine going which affects time, and begin exploring and cleaning the house, when the cook appears, good as new. Then a pirate ship (actually a tugboat) appears on the horizon and the captain, Captain Doubloon, advises he is there to claim his treasure promised his grandfather by the grandfather of the inventor. They are then joined by Masterman, a 7-year-old grandson of the inventor, an orphan under the care of the evil guardian who has escaped his horrible boarding school. The group then embarks on a quest to find the treasure which is hidden in the hotel. All in all, it’s a grand tale, just right for the prepubescent and younger crowd, and not at all displeasing either for readers of a certain age such as myself. Our Inner Child is always lurking just beneath surface, no matter what our age.